1. Words of Radiance! It comes out in less than a week, so you'd better hurry if you're going to read The Way of Kings, which weighs in at 1,280 pages. 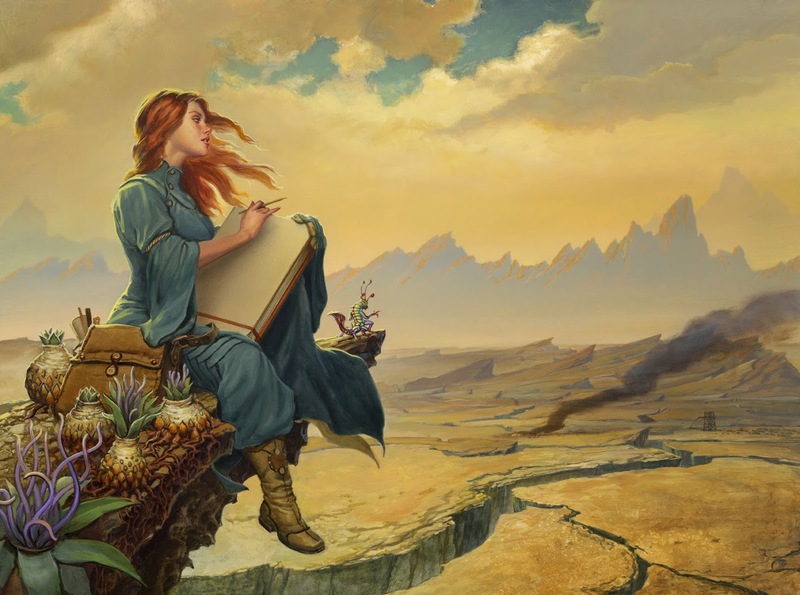 Brandon Sanderson is a prolific marvel, and my current writing hero. 2. Speaking of hurrying, I'm in the middle of The Wise Man's Fear, which which is a much more manageable 994 pages. I'm currently on page 769. It is the second book in the Kingkiller Chronicles, and this is the first time in almost 1500 pages that I've been bored. But I am. I don't think Patrick Rothfuss enjoyed writing the part I'm reading, and I will be happy to get through it. 3. The Art of Wishing by Lindsay Ribar. I can't remember who recommended this one to me, but what a cute sounding book, especially after all the high fantasy I've been reading lately. Margo is a high school girl who finds a genie--and falls in love with him! 4. The Ocean At the End of the Lane--Don't shoot me, but I am not particularly a Neil Gaiman fan, but this title has sucked me in. I've tried to fight it, but a book with a title that awesome needs to be read. 5. Scarlet I've liked a few steampunk novels in my life, but they never sound good the first time I hear about them. This book is no exception. However, in the past couple of weeks, SO many people have fangirled over this one, that I've decided to add it to the pile. 6. Steelheart Have I mentioned that Brandon Sanderson is my current writing hero? 7. All's Fair in Love, War and High School--If Brandon Sanderson is my writing hero, Janette Rallison is the queen. I love that woman and her hilarious stories. This one is my favorite, I think, so I've decided it is time to reread it. I'm not reading as much as I used to, but I've got room for more. Ideas?? ?